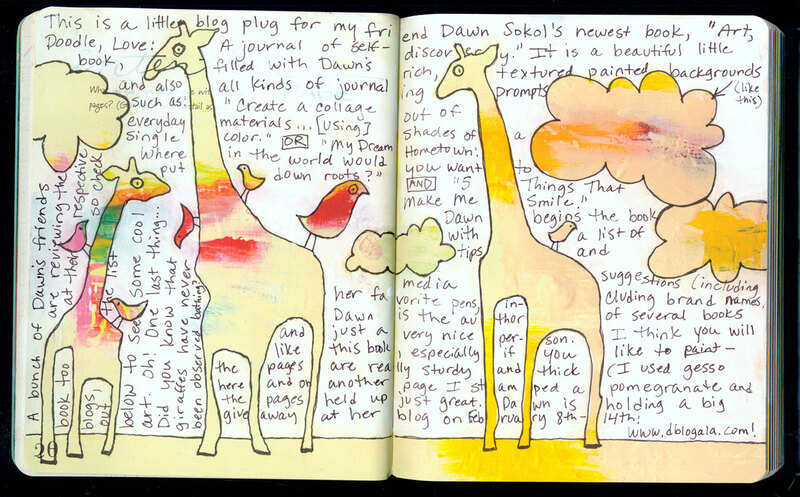 I love the rainbow-necked giraffe. Really want this book! P.S. I got Drawing and Painting Imaginary Animals for Christmas. LOVE IT!!!!! I would love to explore Dawn’s new book! I also love your rainbow giraffe’s. Super fun drawings in Dawn’s book! That’s great. I love your giraffes! I did not know about the bathing. This looks like such a fun book!! Thanks Carla for sharing it with us. I’m off to enter the contest. Love what you did in this nice book. I love your playful giraffes!